Transition Year students of Eureka Secondary School, Kells, will this Friday launch a new social inclusion programme that aims to connect both young and old in the local community. A Coffee Morning to launch the project takes place at 11am in the Headfort Arms Hotel and all are welcome with donations on the morning going towards ‘Third Age’; a senior citizens charity organisation based in County Meath. 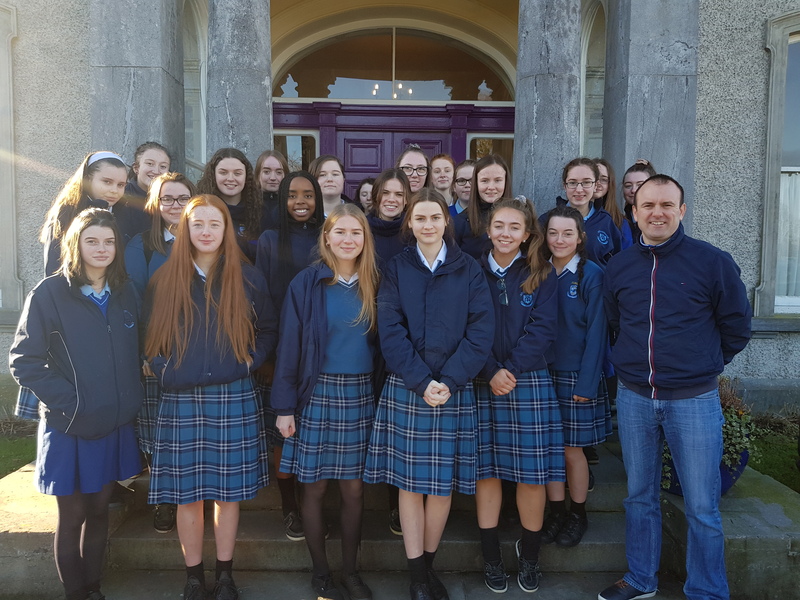 Entitled ‘Never Home Alone’ the 8-week programme will see TY students take part in various activities with older people to help connect the generations and address the issue of loneliness and associated mental health problems. ‘Loneliness is a major issue in Ireland today and there are profound physical and mental health problems that are exacerbated by loneliness’ stated Mr Stephen McKee, the Teacher who is overseeing the project. ‘We are all looking forward to a very enjoyable Programme, after which we hope to put in place a set programme that can be put in place in every Transition Year programme around the country. We look forward to seeing young and old at our Coffee Morning this Friday at 11am in the Headfort Arms Hotel, Kells and we are delighted to run this as a fundraiser for Meath-based charity for Senior Citizens, Third Age. Students ran a very successful brain-storming Workshop in their school before Christmas with the support of Catherine McGuigan of Age Friendly Ireland; Aine Bird of Meath County Council; Sergeant Dean Kerins, members of the Meath Older Persons Council, Shane Carolan of Prosper Meath and local Kells Councillor Sarah Reilly. ‘We are grateful for all the support we are getting with the project’ concluded Mr Stephen McKee.